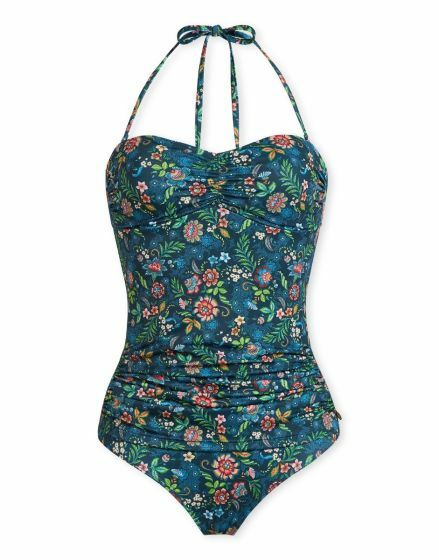 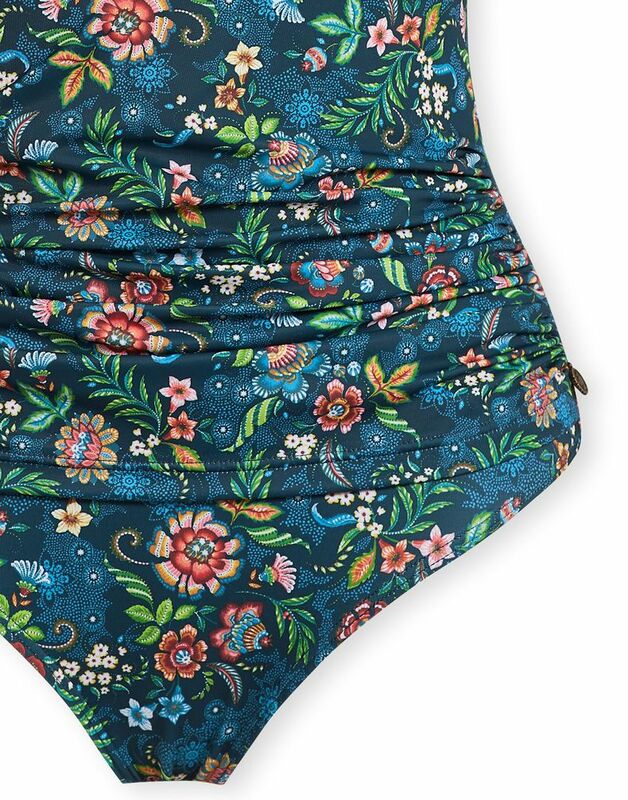 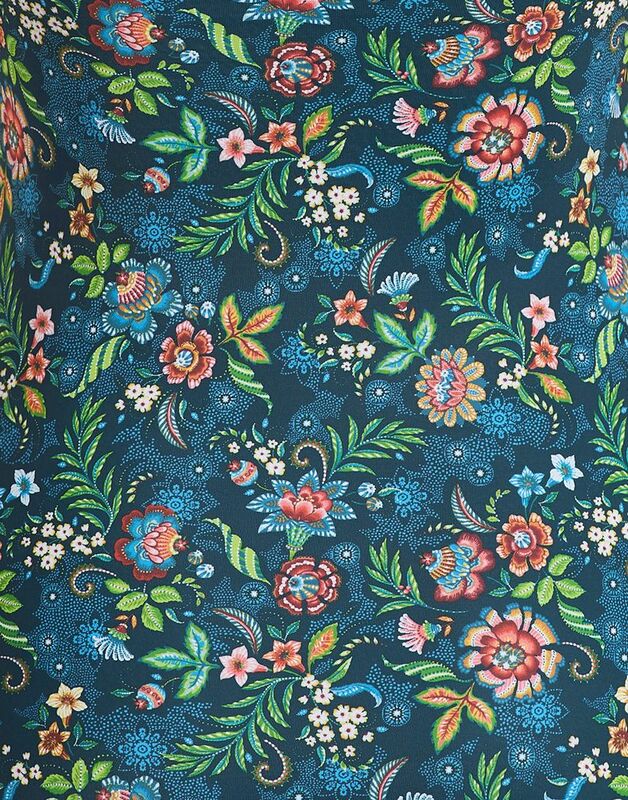 This swimsuit is decorated with the Medina design, featuring graphic elements and exotic flowers. 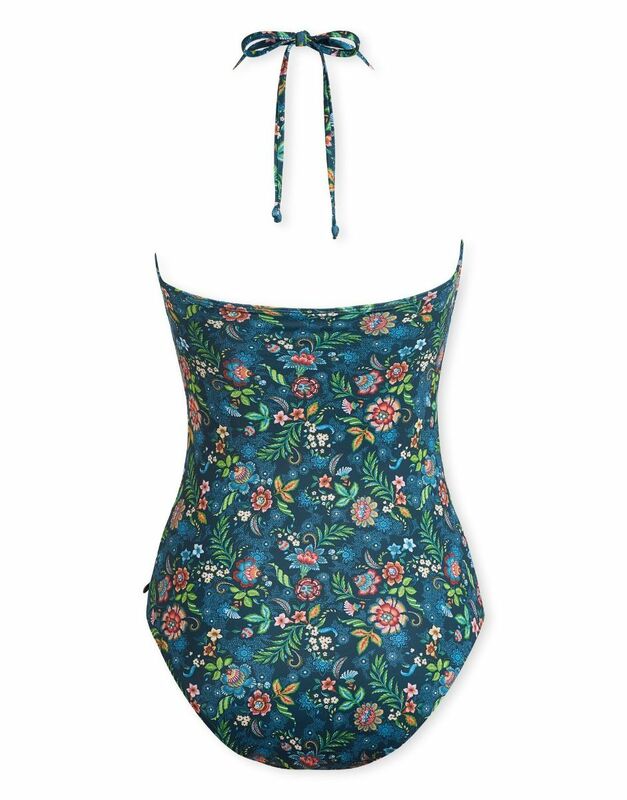 With pre-shaped cups, small pleats around the waist and a tie closure at the neck. 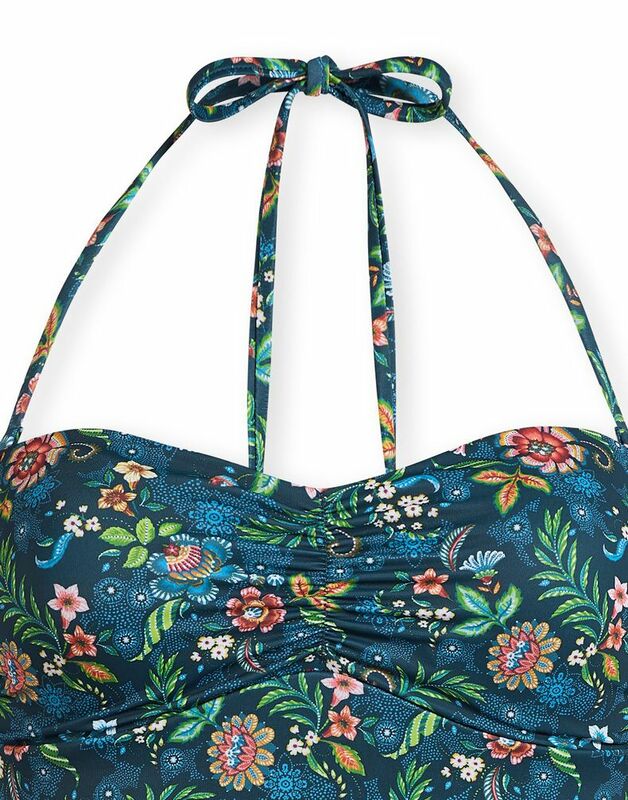 The straps can be removed to wear the swimsuit strapless.